Each year, the Bill Hartack Charitable Foundation recognizes the jockey who rides the Kentucky Derby winner with the Hartack Memorial Award. 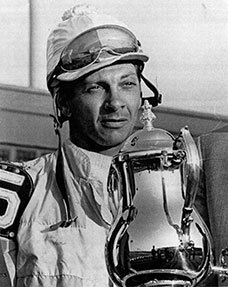 The award honors the memory of the late Bill Hartack, his lifetime achievements and his passion for horse racing. With the passing of famed artist LeRoy Neiman in 2012, sports fans the world over lost a true friend. 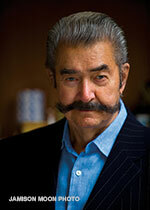 Hartack Foundation founding board member LeRoy Neiman was a long-time friend of Bill Hartack. Neiman was one of America’s most popular artists, known for his brilliantly colored, impressionistic sketches of sporting events and the international high life. Neiman rivaled American favorites like Norman Rockwell, Grandma Moses and Andrew Wyeth in popularity. Although Neiman was best known for scenes filled with people and events, he also painted many portraits. Athletes predominated, with Muhammad Ali, Joe Namath and Bill Hartack among his more famous subjects. Neiman’s beautiful portrait of Bill Hartack may be seen on the home page of this web site.